The research identifies a part of the brain that shrunk in volume for participants with the slower walking. PITTSBURGH — Has grandma’s walking slowed down as she’s aged? This slower gait may be a sign of declining mental acuity. And a 14-year University of Pittsburgh study published Wednesday in the journal Neurology has pinpointed the area of the brain – the right hippocampus – where this link may be demonstrated. It found that those experiencing cognitive impairment had a shrinking of this finger-shaped region deep in the brain, which is important in both memory and spatial orientation. “For a while we weren’t really sure if it was just a parallel decline with age or a truly linked decline,” said lead author Andrea Rosso, assistant profession in Pitt’s Public Health’s Department of Epidemiology. Finding a brain region tied to both provides strong evidence that gait and cognitive change are not just correlated but linked, she said. The findings by researchers at the University of Pittsburgh Graduate School of Public Health confirmed earlier studies that saw a correlation between slower walking and cognitive decline. In the Pitt study, the scientists examined the walking of 175 adults aged 70-79. They regularly measured the participants’ walking speed over an 18-foot-long stretch of hallway multiple times over the 14 years. At the beginning, all participants had normal brain scans. Toward the end of the study period, researchers again took brain scans to measure gray matter volume and tested mental acuity. Although everyone’s gait slowed over these 14 years, those who slowed by 0.1 seconds more per year than their peers were 47 percent more likely to develop cognitive impairment. The right hippocampus was the only part of the brain that shrunk in volume over this time among the participants with the slower walking. The study suggests that rather than undertaking costly brain scans to test for dementia in every older individual, doctors could simply measure their patients’ walking speed over time to identify at-risk individuals. Rosso believes such evaluations should be included in regular geriatric exams. Individuals might even be able to administer the walking speed test at home, she said. 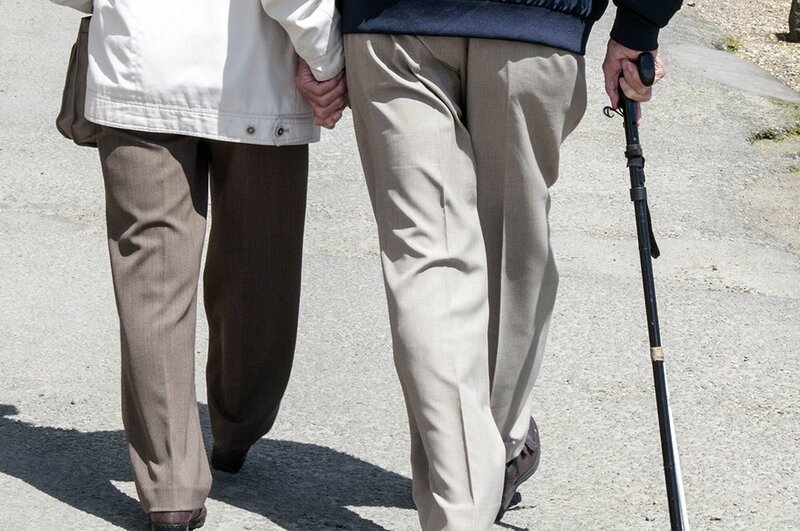 Measuring gait would allow for earlier detection because individuals often slow their walking speeds before any signs of cognitive impairment appear, she said, adding that there are therapies that can delay its onset. The extra time also could allow patients and their families to plan for the eventual need for assisted care. Rosso said that while practicing clinicians are beginning to learn about the importance and ease of walking speed tests, she acknowledged that it may not be implemented for a while.